I thought this homeowner had decorated for Halloween. 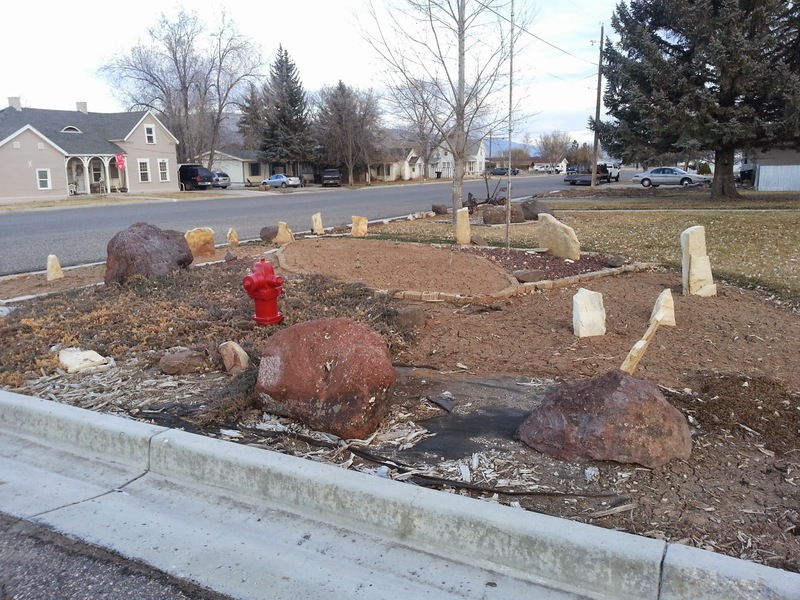 But when I looked closer, I realized that it was a landscape design with upright flat rocks, not a faux graveyard. I wonder what they have in their house? 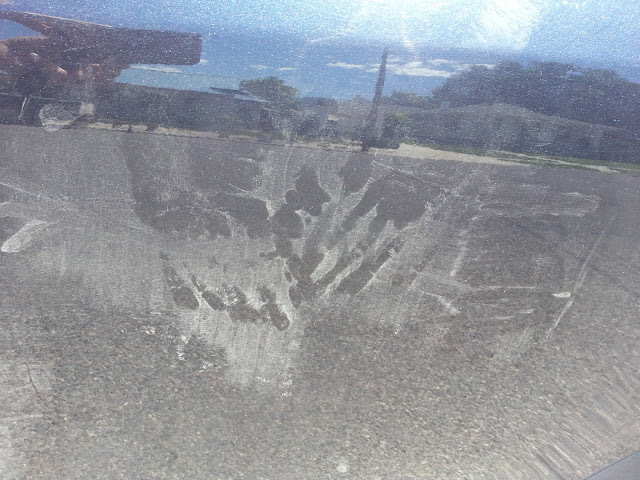 When I walked out to my car, I found some ghostly handprints on my car door. Strangely enough, if someone had stood at my car and pressed their hands against it, the fingers would most likely point upward, but you can see (if you look closely with your supernatural vision) that the handprints are pointing downward. 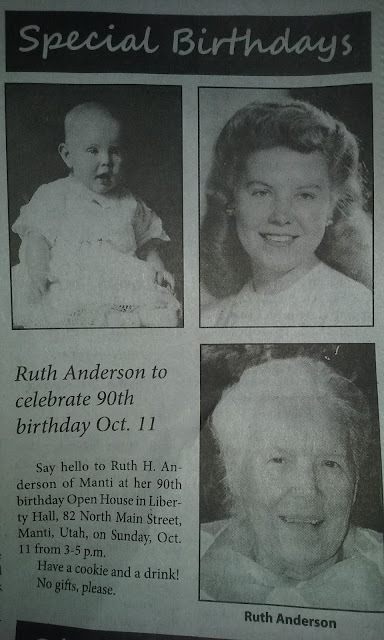 Ruth Anderson 90th Birthday Open House! Here's my mother Ruth H. Anderson and little sister Carolyn at Mom's 90th birthday open house. Aren't they bright and beautiful? Here's a classic picture taken when we weren't ALL READY! 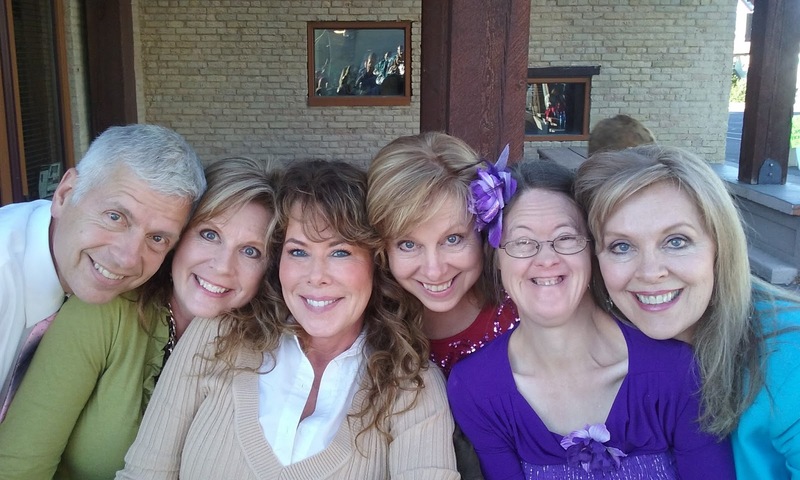 Here are seven of Mom and Dad's eight children, the ones who could be there. (Dad passed on to the next life 13 years ago, and the oldest child, Melinda, was in the hospital. 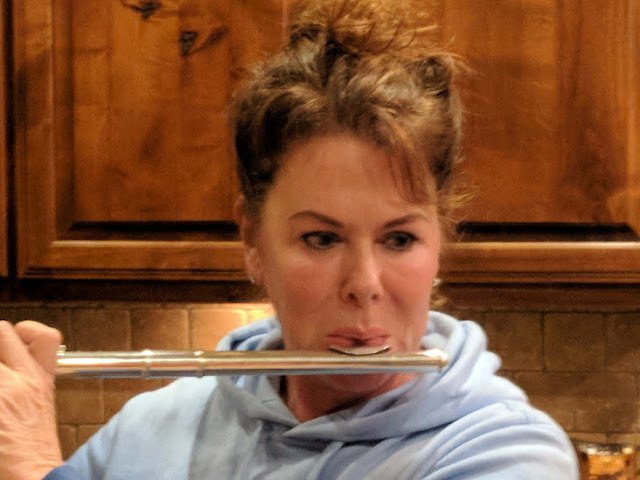 She is getting better now! Oh, happy day. 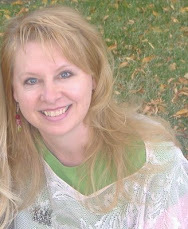 Mom is cheerful, helpful, and looks for the best in every day she wakes up. Would you like to live to be 90? Family is so much fun! I have 46 cousins, but I haven't seen all of them yet. Lucky me, I got to meet one more last weekend during my mother's 90th birthday open house! 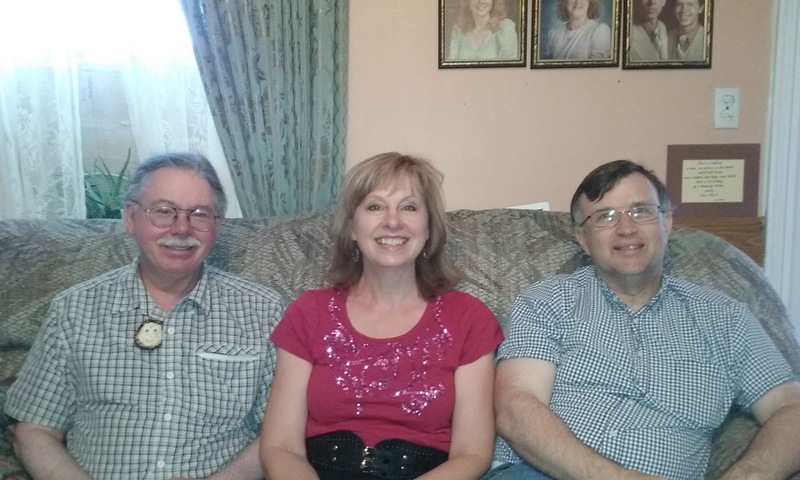 May I introduce cousin Brent Anderson (left, a cartoonist who's worked with DC Comics, of all companies), then me, then fellow cartoonist Michael Lovins. Who knew that cutting up my "school pride" shirt would garner me an exclusive invitation? At lunch time, I was swishing my fringe down the hall when a couple of cute girls who've greeted me before saw me. Their eyes went wide and they hurried closer. 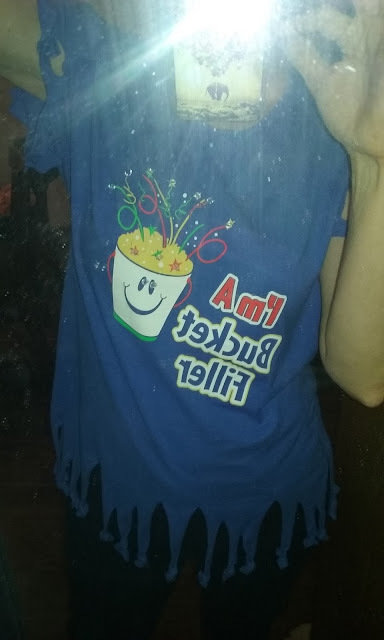 "I love your shirt!" one said. "Do you want to join our Cute Girl's Club?" asked the other, fluttering her cute eyelashes. Sticking both arms straight up in the air with excitement, I replied, "Yes! I'd love to be in your Cute Girl Club! Thanks so much for asking me!" So now you know. I am an official member of the Cute Girl Club. What is your favorite type of clothing? Do you like structured pieces? Sweats? Loose and floofy? Form-fitting Spandex? Casual jeans and t-shirts? Shark bite pants and sliced up clothing? Come on, tell us... what do you like to wear?